The traditional posture is the lotus position, particularly in the East. However if we have not grown up doing yoga this can be uncomfortable and put you off meditation. Therefore, we can meditate just as well on a chair providing it is firm and upright. Your spine needs to be erect, your body should be relaxed and your feet firmly on the floor, hands resting lightly on your knees. The main rule for meditation is to be comfortable, this includes clothing. The purpose is to forget about the body so the mind can be free. The room should be dim and restful, not too dark that you doze off. The temperature should be warm but not stuffy and hot. Adhering to these guidelines will help you to adopt the correct mental attitude – and you will be less likely to fall asleep. When you first start, it can be hard to ignore the noise around you. You are in a very sensitive state when you meditate, so loud noises and interruptions can jar the nerves. So ask family and friends not to disturb you, take the phone of the hook and shut the door. In order to meditate effectively you need to be relaxed. Most people carry far more tension than they realise, both in the body and in the mind. Until you are able to release this tension, it is harder to enter a condition of stillness. There are many relaxation meditations available on the internet, or you can just focus on your breathing. You are now ready to begin a journey of self discovery. If you would like to find out more about the benefits to the body meditation has read my previous post on Meditation here. 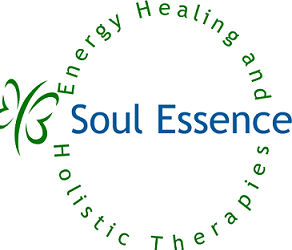 If you still find it hard to meditate, and would like to release your everyday tension, please contact me, I can work with you using Energy Healing to help you relax so your mind, body and spirit can work together, the result will be a balance of thought, awareness and well-being. It is in this state that healing of other illness can occur on multiple levels. Meditation can also help balance our seven chakras.